Showing results for tags 'e-mail from the fbi'. Folks, this just arrived in my mailbox where I've copied and pasted below...(MODS - feel free to make any edits as necessary, please let me know if you have any bottles of whiskey nearby) Sterling Currency Group; United States v. Tyson Rhame, et. al., 1:16-CR-67-SCJ-CMS Inbox x IraqiDinarScam <IraqiDinarScam@fbi.gov> 5:31 PM (11 minutes ago) to To whom it may concern: The Federal Bureau of Investigation and Internal Revenue Service are investigating individuals associated with Sterling Currency Group involving the sale of Iraqi Dinar. On October 9, 2018, the defendants TYSON RHAME, JAMES SHAW, and FRANK BELL were convicted of conspiracy to commit mail and wire fraud, mail fraud, and wire fraud. The defendants RHAME and BELL were also convicted of making false statements to federal agents. The defendants were acquitted of money laundering charges. 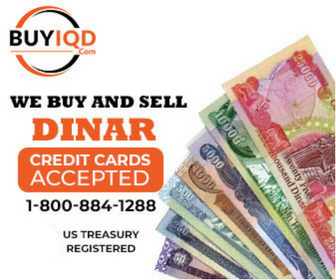 If you or a relative purchased Iraqi Dinar from Sterling Currency Group, the FBI encourages you to complete the victim questionnaire. Please access the information page at www.fbi.gov/IraqiDinarScam or the questionnaire directly at https://forms.fbi.gov/IraqiDinarScam. Please be advised this mailbox will not receive email correspondence. You are encouraged to complete the questionnaire and you will be contacted if further information is needed. Respectfully, FBI Atlanta ---------------------------------------------------------------------------------------------------------------------------------------------------------------------------------------------------------------------------------------- Any one of you have any input or idea besides what we already know about this? LIKE, THE RV JUST REALLY MIGHT BE AROUND THE CORNER AND THE GOV'T ARE LOOKING BAG ANY OF US DINAR HOLDERS AS MUCH AS THEY CAN TO GET THEIR CUT FOR THE TAX MAN???!! WHISKEY ON STAND BY!! !